Home Topics Future of Learning Preparing Students for Future Work: What is the Gig Economy? Preparing Students for Future Work: What is the Gig Economy? The “gig economy” is fairly new to me, I was unaware of the terminology until recently. When I first heard “gig economy”, I could not figure out what it referred to, at least in the sense of both words used together. Separately, I can easily define “gig” and “economy.” The gig economy gets its name because each job or work assignment is similar to an individual “gig”. The gig economy was formerly known as the ‘sharing economy’, with one of the most popular examples being Airbnb. I recall first hearing “Airbnb” two years ago and not having a clue about what it meant then. I only knew that I had several friends who arranged travel as part of Airbnb. So how does the gig economy work? It is employment that is a temporary task, for example, delivery couriers, Uber (another term I did not understand when I first heard it three years ago), or Lyft, to name a few. A prior post in Getting Smart included some statistics related to the average income from providing these types of services. The numbers are fascinating. In 2015, 54 million people worked as freelancers earning an estimate of 17% more per hour than full-time employees. It is projected that 60% of companies plan to hire more freelancers rather than full-time employees in the future. In 2016, 35% of workers were freelancers and estimates are that by 2020, this number will increase to 43% in the United States. So it leads me to wonder: What will the number rise to in another 10 years, by the year 2030? In a quick estimate, perhaps it will rise to approximately 63% if following the previous increase as a trend. Looking ahead, the students currently in kindergarten will be the graduating class of 2030. It seems a long way off, but we need to prepare them for their future, and if the future does involve less traditional educational paths and more “gig” jobs and freelancing, how do we start preparing them now? It is important to consider these statistics and trends when preparing your lessons each day, and it has led me to think about how I am instructing students in my class. As a foreign language teacher, students often ask why they should learn a foreign language, or say that they won’t need a foreign language in their future. There are many benefits in learning a foreign language, but I think the gig economy presents a perfect example of how it could be of even greater benefit to students in the future. Having foreign language knowledge is a skill that can come in handy and benefit students later on in life. Some common examples that come to mind are sellers on sites like Etsy or even someone who works as an online tutor or an editor. These do not have to be full-time positions, but can be in addition to a more permanent job, and done as extra work on the side. It’s about having options available. And to best prepare students for the future of work in a gig economy, we need to give them options. How do we prepare students for a future of freelance work or to become entrepreneurs? By offering more opportunities for them to explore and create, through opportunities to not only explore the types of jobs available but also job shadow to learn firsthand, the qualifications and skills that may be necessary. So if this is the trend that will be coming in the future, then will schools continue to encourage students to seek a college degree, or an extended learning program or formal training? Or do students need to simply master a skill or have time to explore an interest they have, to become more marketable? Do schools have the responsibility to create different courses through which students can learn about a variety of professional options and afford time for students to explore on their own or by connecting with professionals in their community? Many schools have started to offer more courses based on emerging trends, such as entrepreneurship, webpage design, sports and entertainment management, and other similar courses to help students develop skills necessary to create their own job opportunities. At my school, Patsy Kvortek, one of our business teachers, recognized a need for courses which would help students to develop some of these skills. She thought “we should provide students with opportunities to learn in more authentic ways that would prepare them for future success.” To do this, a few years ago she created a course in “Entrepreneurship” and “Sports and Entertainment Management” in which students develop a wide variety of skills focused on project management, event planning and learning everything there is to know about being an entrepreneur. In her classes, students take on different roles, learn to collaborate and be part of a team that is entirely responsible for planning, organizing and executing large-scale school and community events. Some of the roles include: Project Manager, Committee Chairs, Social Media and Advertising. Students rotate through these roles so they develop the skills necessary to be successful in any of these areas in the future. Through this course, students have developed skills to prepare them for many career options as well as better understand how to start a small business or plan major events. They also develop critical skills of communication, collaboration, problem-solving and as an added benefit, SEL (Social and Emotional Learning) skills as well. Observing the students involved in these courses has always impressed me, and seeing them come up with new products and start their own business, has shown the value behind providing these opportunities. These electives grew in popularity over the years because of the truly authentic and relevant learning experiences they provided. What difference does having a degree make? There are a lot of statistics that point to alternate forms of furthering one’s education, which do not involve the traditional undergraduate degree. There is more of an emphasis on building skills in diverse areas, to be flexible and explore alternate training options. There is a growing trend of students “crafting their own career” and not being dependent on an employer to do this, but rather create a professional path based more on personal interest. Several former students, ones whom I thought would pursue a college degree, instead opted to venture into unique areas of business. They have been successful and it is even more rewarding knowing they are doing what they love and control their schedules. Some of these entrepreneurial ventures include: a dog daycare, photo booth rentals, personal shopping service, resume writing, jewelry making, party planning and photography. These students chose these paths because they were able to pursue personal interests through electives, and develop skills and knowledge to get their business started. There will continue to be a demand for these services and these entrepreneurs will be in control of when, where and how often they provide these services in a gig economy. What are the skills that all students should develop regardless of what the future holds in terms of education? We need to help students learn how to communicate, to collaborate, to problem-solve and to find out what they are passionate about. There should be opportunities for students to engage in more real-world experiences, where they can assess needs in their community and brainstorm ways to offer services that will be beneficial for others. Project-based learning is a great way to help prepare students for working with others and to have more of an authentic and meaningful learning experience. 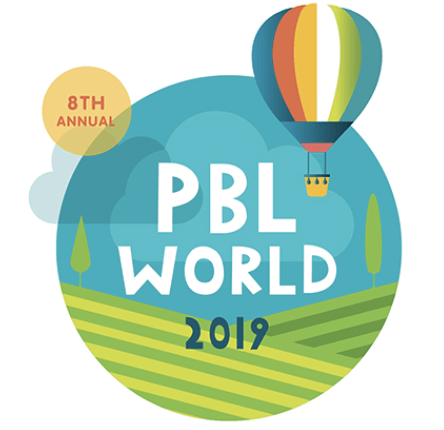 The Buck Institute of Education is working to develop a High-Quality Project Based Learning framework (to be published in March), with six criteria that students should experience through PBL. One of these six is “project management”. The focus of this is more on how to support students with goal setting, time management and self-assessment. These skills will prove beneficial regardless of what the future “job” may be for students. When we support students in setting goals, learning to self-assess, engaging in more independent work and developing time management skills, we help them to develop the skills that they will need to be successful in the future regardless of what they ultimately decide to do. Whether they pursue full-time employment or explore options in a “gig economy”, they will be ready to face any challenges that arise in a constantly changing workplace. How Are We Training Today’s Students for the Growing Gig Economy of Tomorrow?